As a landscape photographer, and blogger of In a Far Away Land, Marta Kulesza is always on the lookout for the best scenic shots. Since moving to New Zealand, Marta has found herself with an abundance of vantage points, mountains tops and stunning lakes. Here she tells us what makes New Zealand one of the greatest countries on the planet. Do you know those places that are hard to get to but once you manage to get there then you know that it was worth every bit of your effort? New Zealand is one of those places for me. Polish citizens are only entitled to 100 working holiday visas per year, so you could imagine my excitement when I found out that I was one of the lucky 100 to be granted the visa. 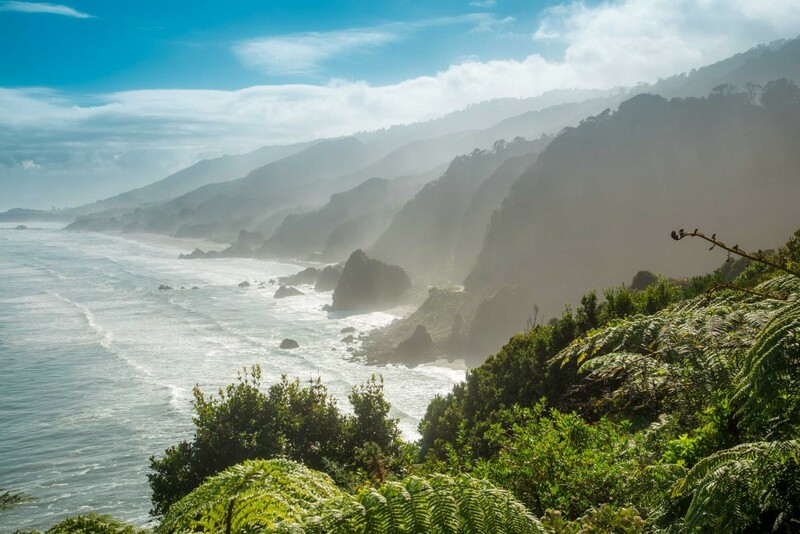 I could have just come here for 90 days, but I wanted to experience New Zealand from a local’s perspective. Living and working here for one year allows me to do just that. Now, almost eight months into my journey I can easily say that I fell in love with this country, its people and, above all, its landscapes. 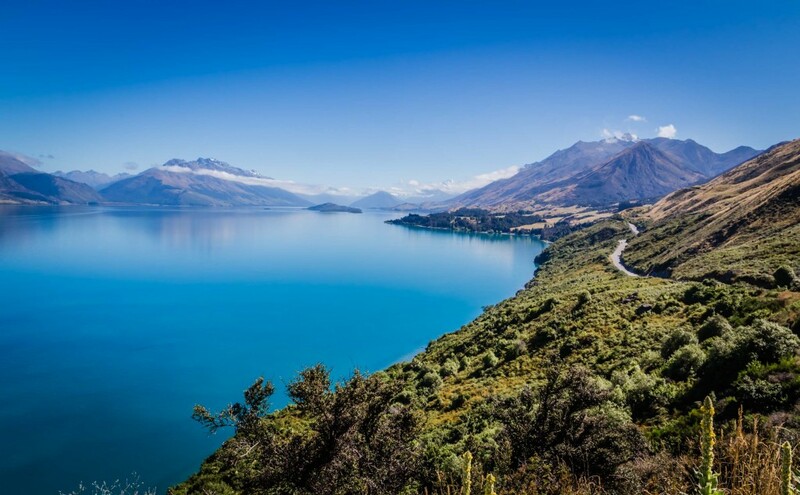 Bluff Point between Queenstown and Glenorchy is one of my favorite roads in New Zealand. While I lived in Queenstown I used to drive down it at least once a month and I could never get enough of the views! As an avid landscape photographer I found myself in a paradise. From snowcapped mountains to steamy volcanoes to lakes of such colours that they will make you question whether you are in the real world or in some kind of a fairytale. There is something photo-worthy around every corner. 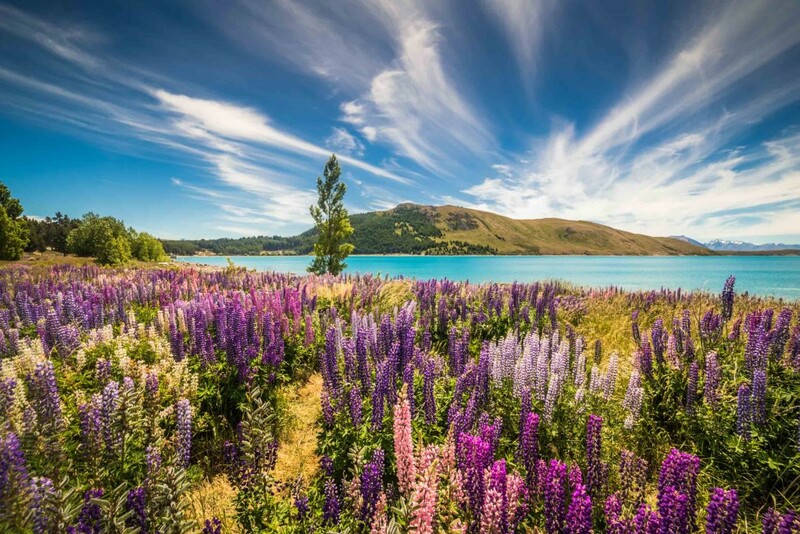 Lupin flower field near Tekapo. This place was always very high on my list of things to see in New Zealand. I did an eight-hour round trip just to see this natural phenomenon of the blooming flower fields. Best spotted in December! 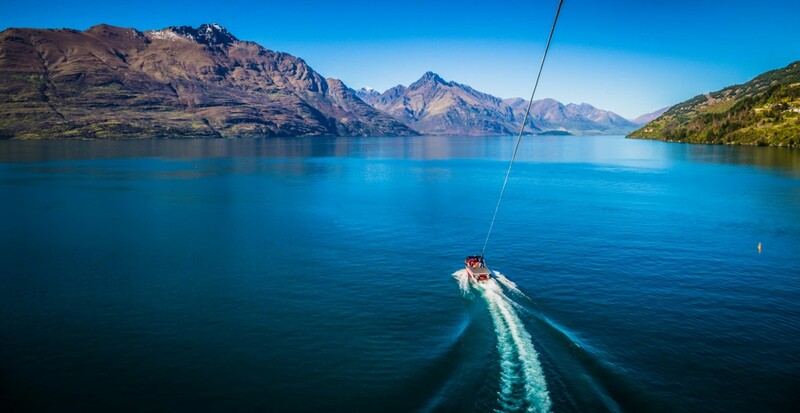 I spent four months alone discovering Queenstown – the town that is known as the adventure capital of the world. It has the most friendly atmosphere I have ever encountered anywhere in the world and the amount of outdoor activities you can do here is pretty much limitless. 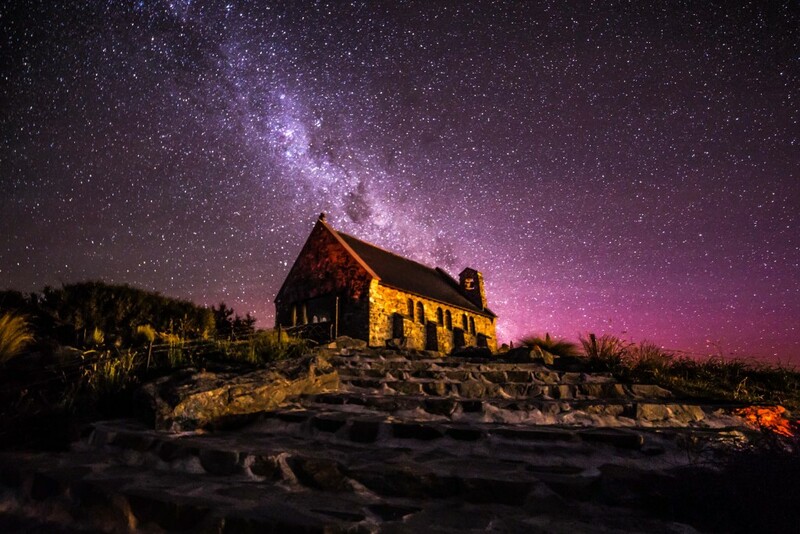 New Zealand is also one of the best places in the world to photograph the night sky. Lake Tekapo – an International Dark Sky Reserve – is where I took my first steps into astrophotography. 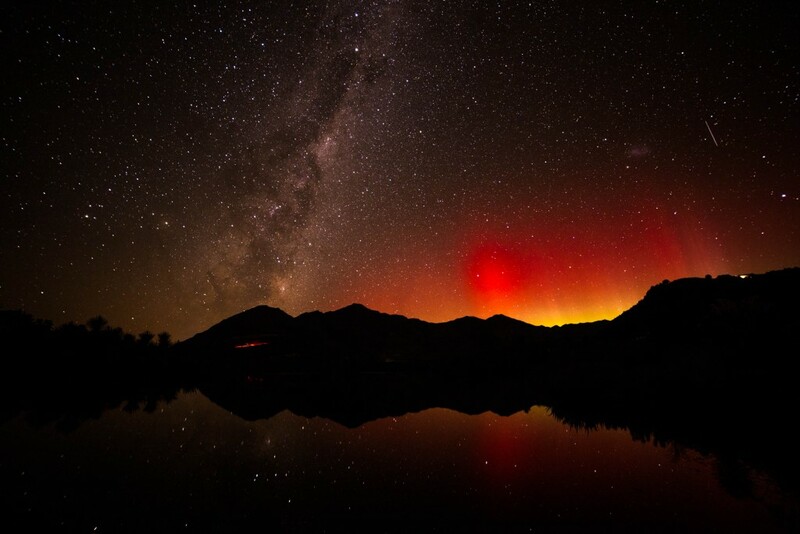 Apart from the best night skies, I was lucky enough to witness the southern lights a few times. Instead of being green like they are in the northern hemisphere, they actually have red and orange highlights in this part of the world. New Zealand has sun, sand, ocean and mountains, pretty much everything that will get an outdoorsy person like me jumping for joy. The best part is that everything is so close. You can spend your morning hiking in the southern alps and after a couple of hours of driving you can watch the sunset on the west coast. Speaking of sunsets. 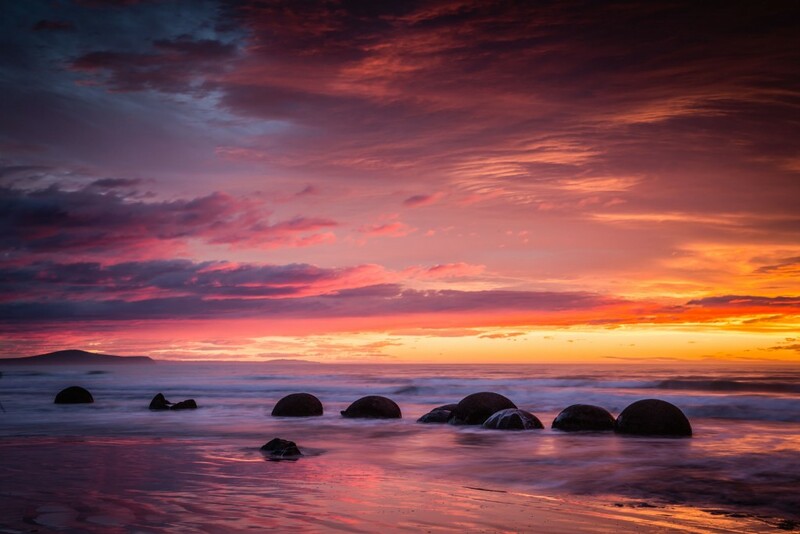 I have done a fair share of travelling in my life and I can say without a doubt that sunrises and sunsets in New Zealand are some of the best I have ever seen. Getting from place to place is never boring either. This country has so many scenic roads that you will find yourself glued to the window of your car or bus and stopping every few minutes to take a photo. Lindis Pass, Haast Paast or West Coast Road are just a few of the best. The scenery never gets boring here. 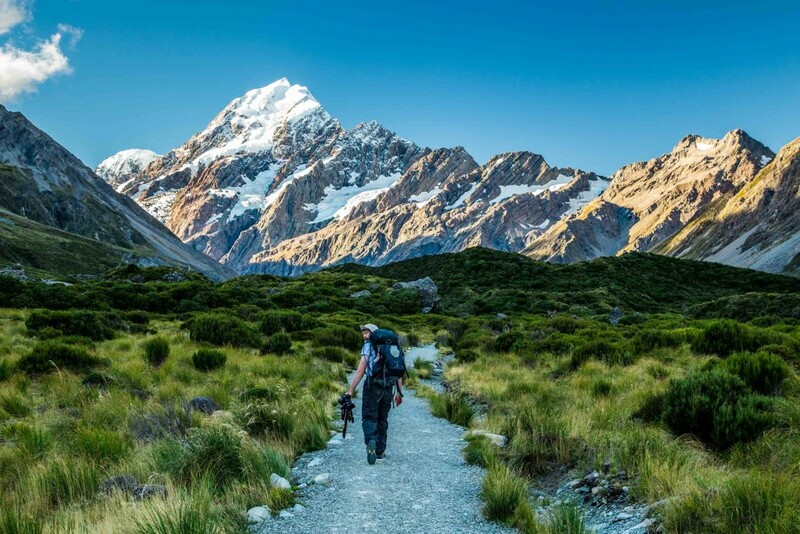 New Zealand has four distinct seasons, so travelling in the summer is just as exciting as in autumn, when the trees change colour, or in the winter when the mountains are covered by snow, plus you can hit a few ski slopes while you are here. 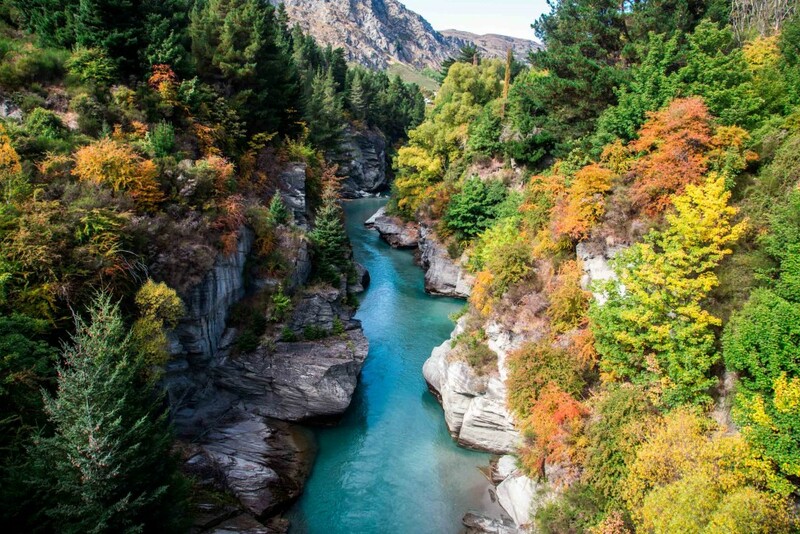 Shotover Canyon near Queenstown during Autumn. This is were the famous shotover jet operates. I rode on the speedboat twice through this canyon and I would do it again without giving it a second thought! If my adventurous soul wasn't telling me to explore the world I could definitely see myself living here for a little while longer. Saying that New Zealand is pretty is a huge understatement. It is a paradise for those who like to be close to nature and spend time outdoors, so if you are still thinking whether you should visit or not I can only ask you one thing. What are you waiting for? I am Marta Kulesza - freelance travel photographer, avid Instagrammer and creator of a travel and photography blog www.inafarawayland.com. I come from Poland, but I've been living, travelling and working around the globe since I turned 18. A few years ago, during one of my trips to Scotland, I bought my first DSLR and my adventure with photography began. Follow me around the globe as I tell stories through my photos and share travel tips along the way.